Ten-year-old Trenk, peasant and property of evil Sir Wertolt, wants to become a knight and free his family. His sword may be heavier than himself, but with unflagging practice, he's soon ready to take on terrifying dragons and save damsels in distress - before conquering their hearts! 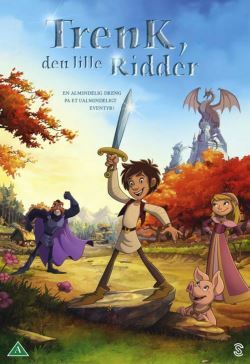 "Trenk, the Little Knight' is the highly anticipated new animated feature from the producers of "Lilly The Witch." Set in the Middle Ages, it features marvelously drawn and colored backdrops along with storylines whose castles, tournaments and courtly society convey a realistic, authentic depiction of medieval life. It tells the deeply moving story of a young boy who must learn what heroism and courage are before he rises from lowly peasant to shining knight. Based on the bestselling books by Kirsten Boie.